As I type this post I just can't believe that it is June 30th, tomorrow is July 1st! July 1st is Canada Day and it is also my mom's birthday and July the 4th is only a few days away. 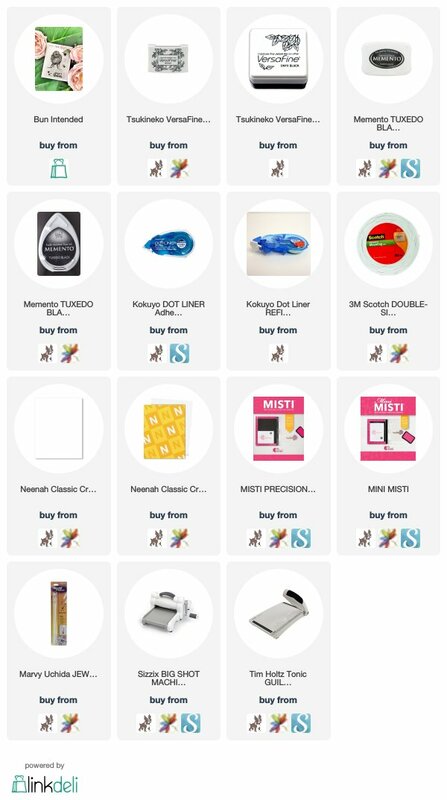 Things are busy busy in my household as I am sure it is in yours. Summer is in full swing, my daughter's 21st birthday is on the 6th and she is getting ready this week to go to Camp Oochigeas here in Muskoka. Camp Ooch is a summer camp for children with cancer, she is going for July to volunteer read more about it here if you are interested. We are so proud of her that she is doing this. 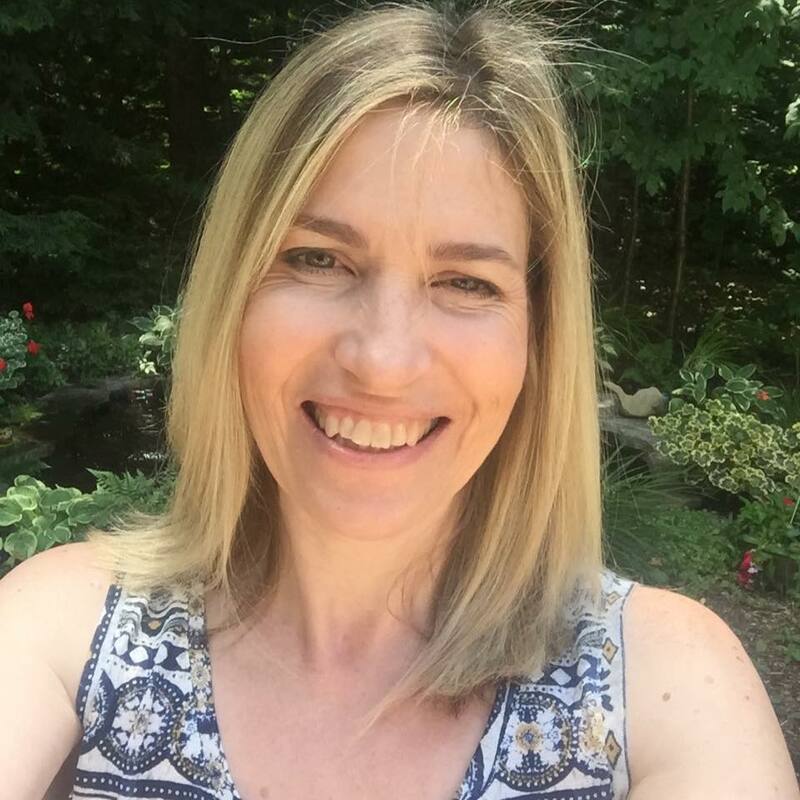 This month's hostess is Michele Feguson, and she sent us all summer in an envelope! 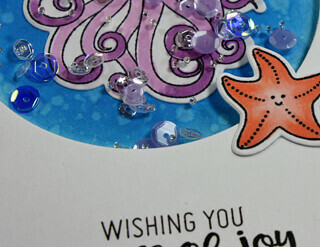 Lots of pretty papers, fun images and die cuts and just the right amount of embellishments! Okay so now what you are here to see. 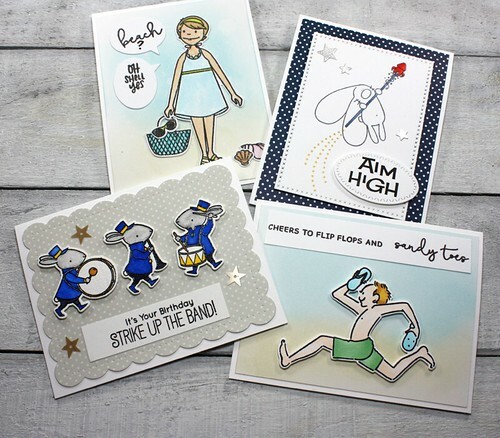 I made four cards with the kit this month, I was so inspired and had so many ideas but what I don't seem to have much of is time. Here they are all together! 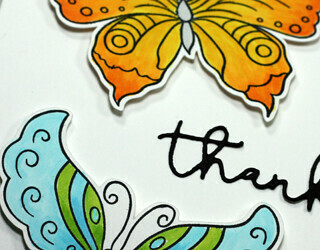 Thank you Michele for an amazing kit! 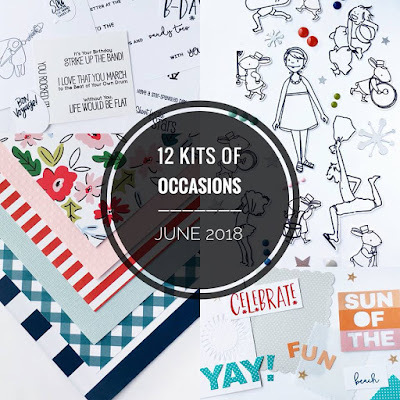 Thank you for coming by today, please head over to the 12 Kits of Occasions blog and have a look at what fabulous creations my teammates have made with Michele's awesome kit. For Day 27 of the Daily Marker 30 Day Coloring Challenge! Today we are using Altenew's Bejeweled Lady to stamp. 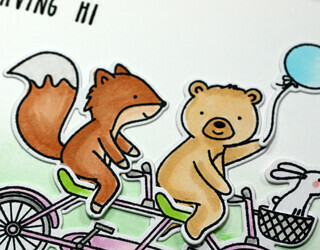 For my card I coloured with copic markers. 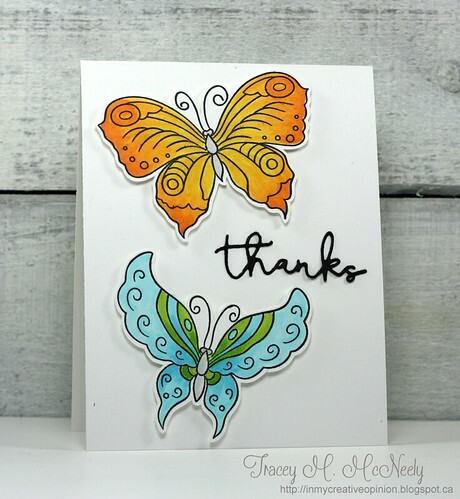 I also made two more butterflies using my Gansai Tambi watercolors. These second ones will need to be fussy cut but I have to do that on a day when my hands are co-operating. For Day 26 of the Daily Marker 30 Day Coloring Challenge! 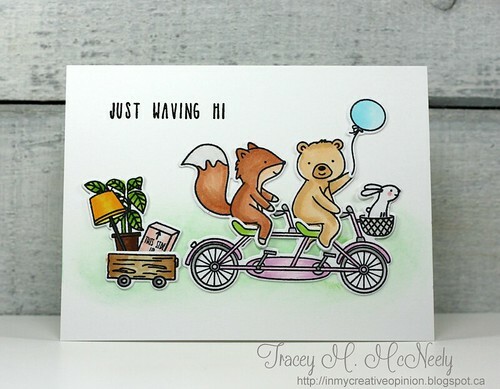 Today we are colouring these cuties from Neat & Tangled Ride with Me Stamps (SSS|EH) and the Ride with Me die cuts (SSS|EH). 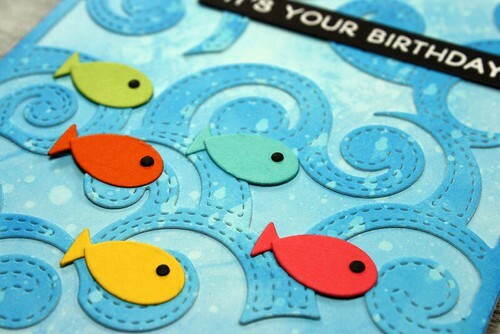 Happy Monday I have a card tutorial for a card with these cute fishes up on the Birch Press Design blog today. 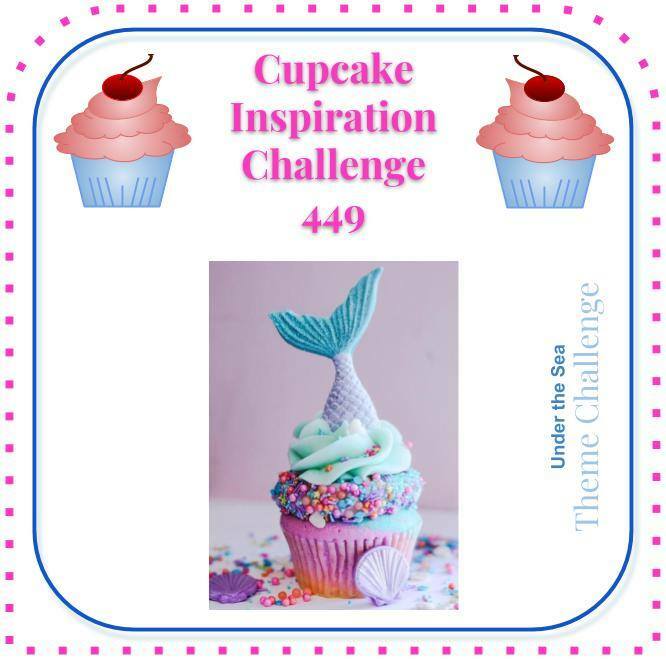 We are the sponsor for the new Cupcake Inspiration Challenge #449! 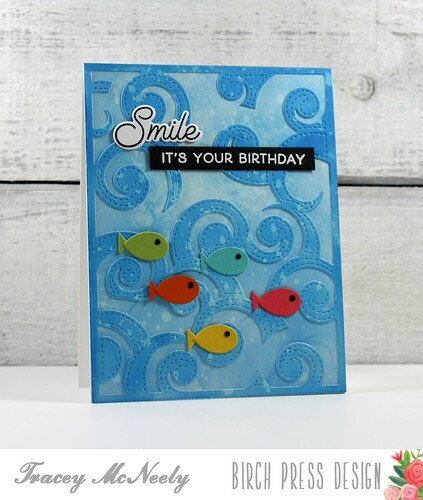 The theme is Under the Sea and I got a little creative making my little fishies using some Birch Press Design craft dies. 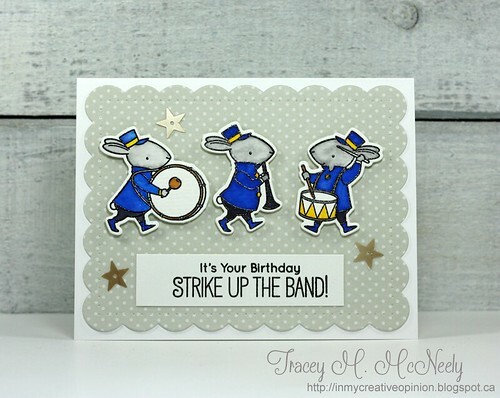 Head over to the post to see how I did it and what I used and also for full instructions on how I made my card. 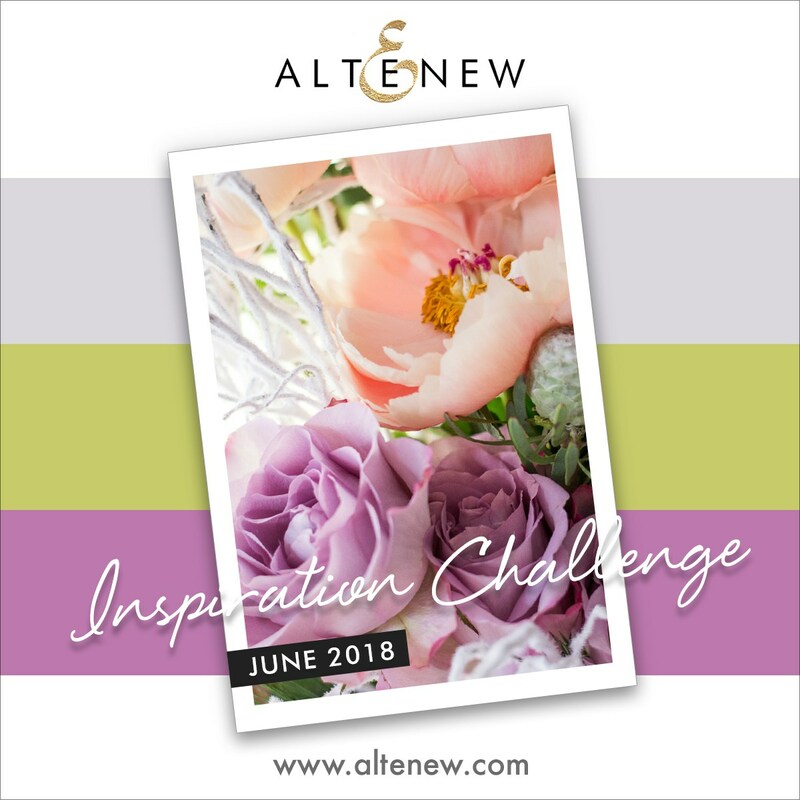 This one is for the Altenew June Inspiration Challenge and for Day 21 of the Daily Marker 30 Day Coloring Challenge! We used Altenew's Starry Flower to colour today. 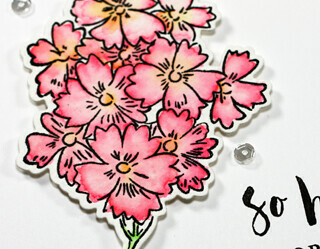 Stamped and embossed on watercolour paper I used ZIG Clean Color Real Brush Markers. 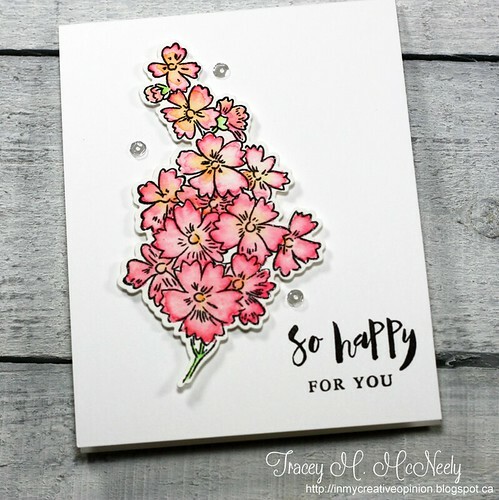 When I was colouring I was going to add some purple in with my blooms as per the inspiration graphic, but the pink just kept flowing--isn't that what happens when we are inspired? 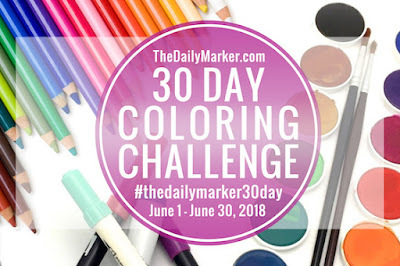 For Day 20 of the Daily Marker 30 Day Coloring Challenge! Today we are colouring Bun Intended by The Ink Road. 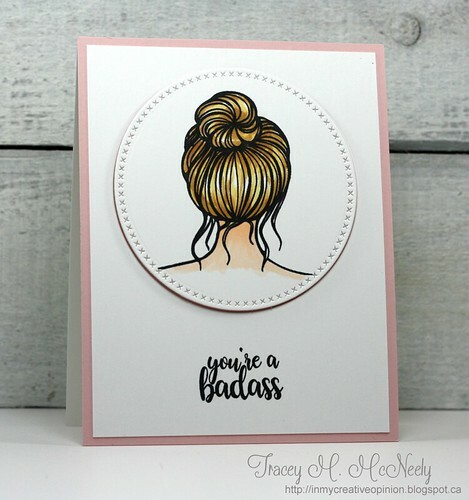 I coloured my bun with Copic markers, cut her out with a circle die and then put the die cut back into the card mounted on foam tape. Easy peasy, clean and simple. I hope you excuse my sassiness today, but I think this card is actually really fun and perfect for that warrior in your life! Thanks for popping in again today! For Day 19 of the Daily Marker 30 Day Coloring Challenge! Today we are colouring Unity Stamps Tulips & Daisies. The image was heat embossed on watercolour paper. 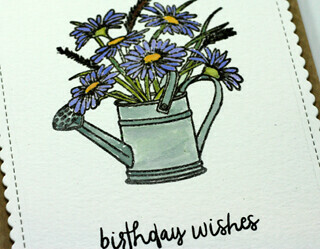 Once again I used Distress Oxide Inks to watercolour my image. For Day 18 of the Daily Marker 30 Day Coloring Challenge! 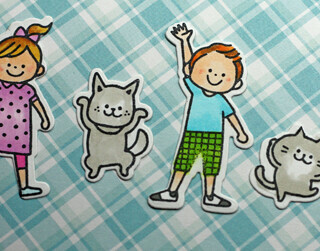 Today we are colouring Hello Kids & Cats from Waffle Flower Crafts. I Copic coloured my kids & cats, combined them with a sentiment from Waffle Flower Crafts Bowtiful stamp set and some patterned paper. For Day 15 of the Daily Marker 30 Day Coloring Challenge! Happy Father's Day to all the Dads out there. Especially to my Dad, this picture was taken this past January on my Dad's 90th birthday. He has always been a rock star to me, the most unselfish man I have ever known who would do anything for his family and his friends. He taught me compassion, empathy, how to love unconditionally and how to laugh in goods times and in bad! Love him to the moon and back! 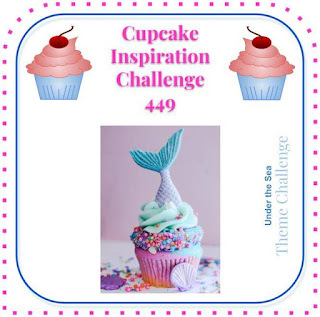 I am playing a bit of catch up with the challenge. Things got busy the past few days so I have fallen a bit behind. 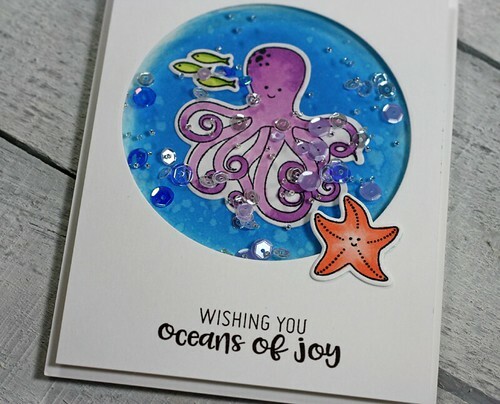 For Day 15 we used the cute octopus set from Jillibean Soup to colour with alcohol ink markers. 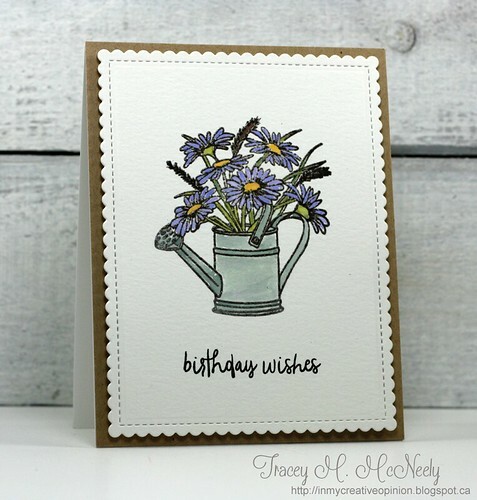 I have been trying to make cards each day this challenge because I find if I just colour I never seem to go back later to make the card. I made a shaker card for the ocean scene, I probably could have filled it a bit more but once that lid goes on, it stays on--lol. 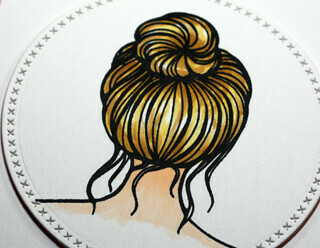 For Day 13 of the Daily Marker 30 Day Coloring Challenge! Today we are colour Essentials by Ellen City Lady! 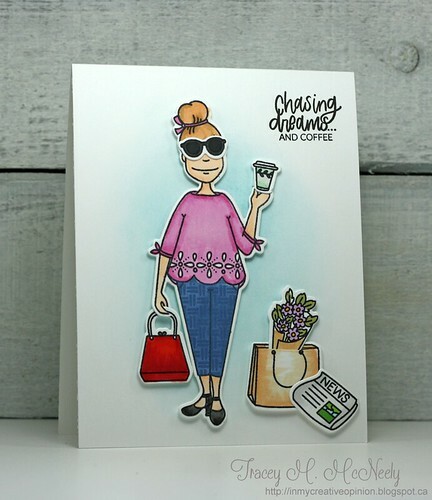 These ladies have been so fun to colour with all their cute clothes and accessories! The Essentials by Ellen City Lady designer dies cut all the images out perfectly allowing you to create some of the most fun scenes. All my images were copic coloured but her pants. I masked off her pants and sponged with Faded Jeans Distress Oxide ink and the I sponged the same ink onto the cross hatch pattern from the Essentials by Ellen Pattern Play stamp set and stamped over top of the already sponged pants to create the subtle pattern. 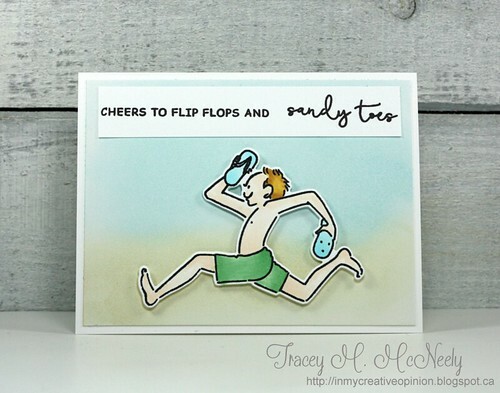 The Pattern Play clear stamps are a must in my opinion, so many ways you can use all these patterns in all of your stamping! For Day 9 of the Daily Marker 30 Day Coloring Challenge! 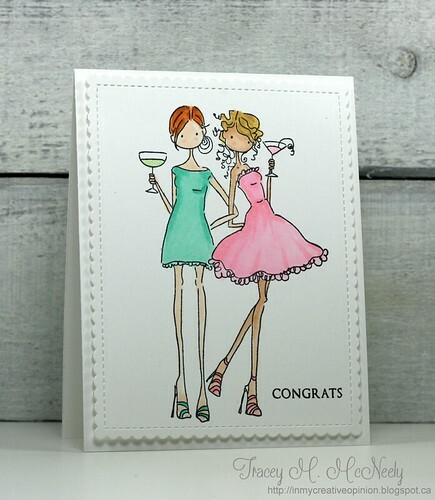 For Day 12 we were colouring Uptown Girls from Stamping Bella. 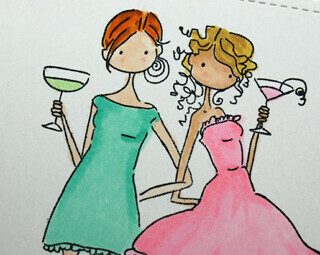 I coloured Girl's Just Wanna Have Fun for this card that would be perfect for a Bachelorette party! 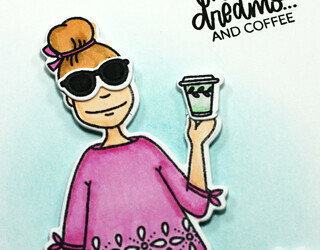 Copic coloured and some of the illusive Wink of Stella inside the glasses!